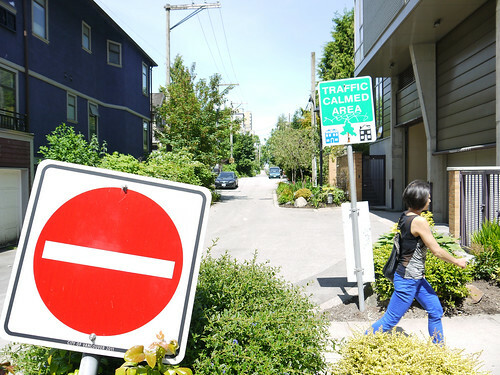 The City of Vancouver wants your help to make parking in the West End better. Fill out the following survey and help? If you live in a densely populated community there is hardly anything more frustrating than parking. For the past 50 years as the rise of the personal ownership of cars has developed more and more public space as been dedicated to it. Whether you are trying to find parking or thinking about other uses for public space in cities, parking can be the bane of your existence. But why? Surely there are solutions to making the parking of cars in the city work better for everyone. Living in the West End is a wonderful experience. It is a very walkable community. Many folks in West End don’t own cars, hardly use them or participate in car sharing. Still for the past 50 years vast amounts of parking spaces have been built in public buildings, commercial buildings and in private residents. In addition there is metered parking on the high streets, West End permit areas and free visitor parking. So why is parking such a hassle? There are over 6,000 active West End parking permits at any given time and only 2,700 on-street spaces. On-street permits cost about $6 per month, compared to $25 to $100 or more per month for off-street parking. If every car parked in off-street spaces, the parking would only be three-quarters full. Many buildings have lots of unused parking spaces, often next to buildings with little or no on-site parking. There are fewer than two on-street visitor parking spaces for every 100 households in the West End. While living in the West End is great, imagine if you had a community garden plot, wider sidewalks with seating and more safety while riding and walking. These great benefits are why getting parking right in the West End is so important. If we price parking “right:” there could be more space to do other things than parking cars and the real kicker to this deal is it would mean less time to find a parking spot for you and your guest visiting the West End. One only has to think of the Mole Hill community garden to realize all the wonderful spaces that can be made in Vancouver for residents if we think of parking in a different way. During busy periods, it takes residents about 5 minutes to find parking on the street, including over a kilometre of extra driving. For visitors, the problem is worse, taking about 10 minutes to find parking, including almost 3 kilometres of extra driving. Parking affects everyone in the community. Even if you don’t drive, you probably have visitors and service providers who do. And people driving in circles looking for parking increases traffic, pollution, and safety risks. Categorized under: active transportation, City of Vancouver, planning, Transportation, Vanpoli. Tagged with: parking, Vancouver, West End.